In February a serious effort to submit two of my books was started. The email queries got sent out first and I am now working on the ones that need to be sent out by regular mail. Well long story short I have just been contacted from a publisher. They want to see the rest of the Jasper. 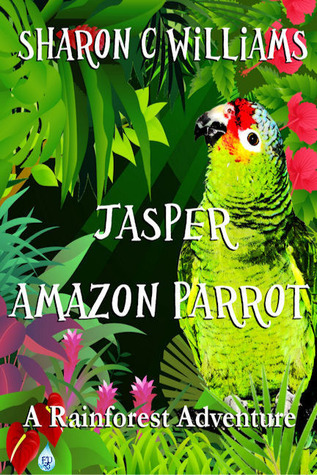 Amazon Parrot book. I know I know it is a long shot. But just hearing the nice things she said about the sections I sent her made me teary eye. A small portion of me feels validated regardless of where this ends up. I thought darn woman it is silly to tear up over this but now that I have had a chance to think on it, it really isn’t. There was a small set back. Earlier this year I created a new email just for my writing. The one I would use to send out my query letters, ask for information on guidelines and all that good stuff so it would not get lost in with my other email activities. So all excited from the contact from a publisher I logged into this account. I typed in my user name. Woohoo almost there. Next was to type in the password, the one that I created that I just KNEW I would not forget but I did. Knowing I could get a recovery email from the server I did so only to be told I had to wait 24 hours for security reasons. My mouth dropped wide enough to catch flies as I stared blankly into space. Time was of the essence but that did not matter I had to wait until March 17th to get this fixed. I finally got the new password and sent the MS to the publisher on Saturday. The anxiety that was felt in having to wait is indescribable. Gosh I don’t care how many times I read this, giddiness envelopes me. Bottom line where ever this goes, the fact someone thought the above makes me squeal inside and out. Congratulations on this hopeful step, and very best of luck with Jasper! Absolutely! And put it somewhere you see it all the time! I think you should frame the letter. You always have to keep the positive things in front of you. Congratulations again! Great thinking. Will do that. This is great! I am crossing my fingers! Thanks. I appreciate all the crossed fingers I can get. True to that. They’ll love it. I know they well. The story is quite solid and very entertaining. Excellent issues altogether, you simply received a brand new reader. What could you recommend in regards to your publish that you just made some days ago? Any positive? It is truly a great and useful piece of info. I’m happy that you just shared this useful information with us. Please keep us up to date like this. Thank you for sharing.